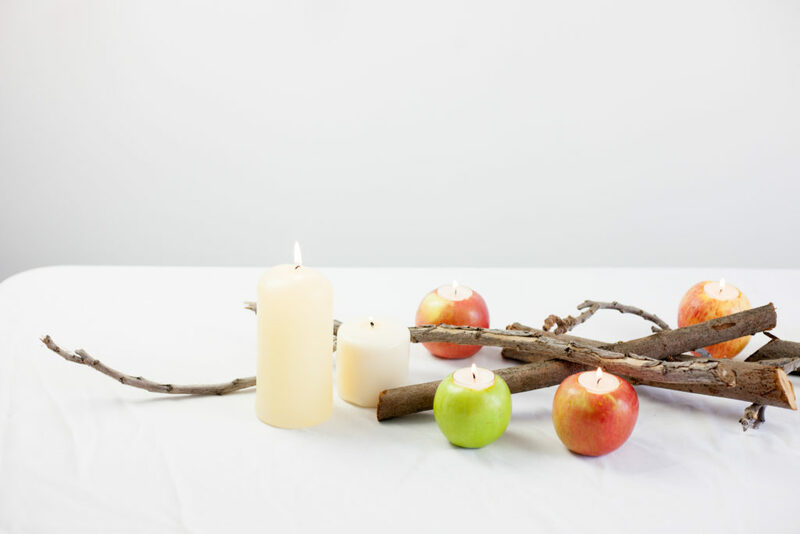 When picking out your apples, you can choose any colors or varieties that you want. I mixed my colors and selected a few green apples and a few more red ones. I liked the pretty pop of green color in there! 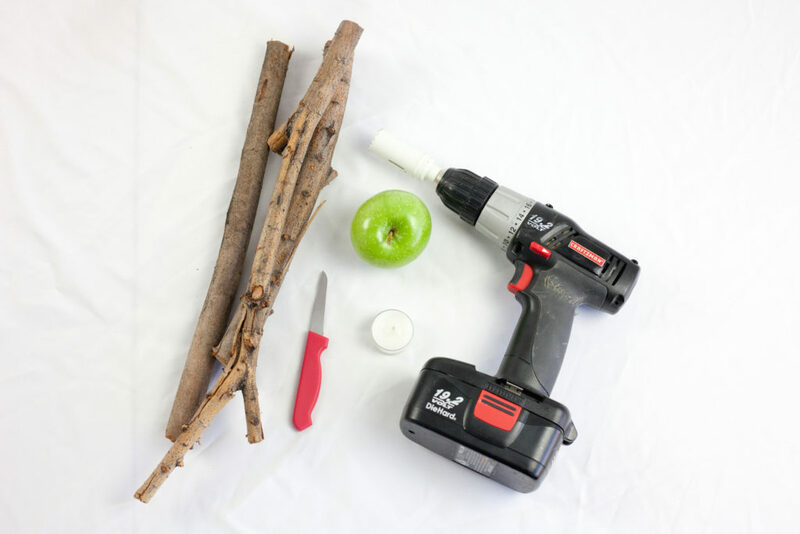 And make sure to pick apples that will sit up straight! 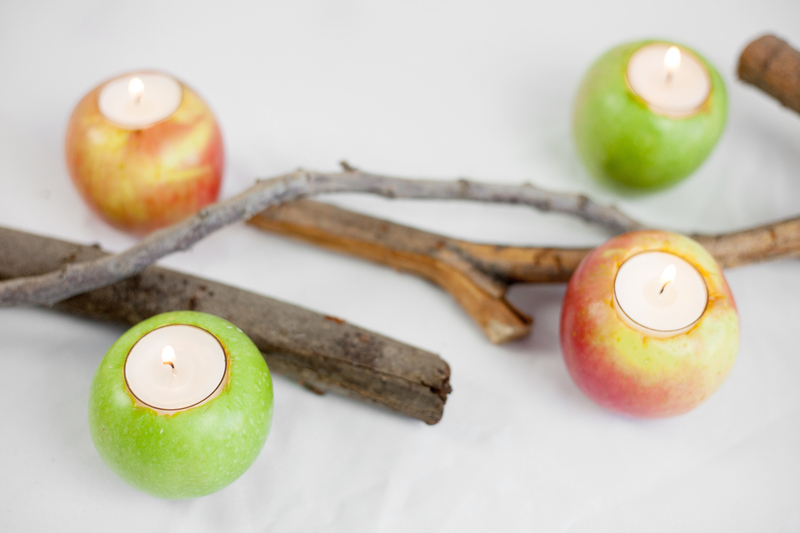 You don’t want the wax to drip down the sides of your apples when they are lit! When selecting the sticks that you want to use for your centerpiece, make sure they are free of bugs, spiderwebs, leaves, and anything else that you wouldn’t want hanging out on your table. Pick different colors and thicknesses too. 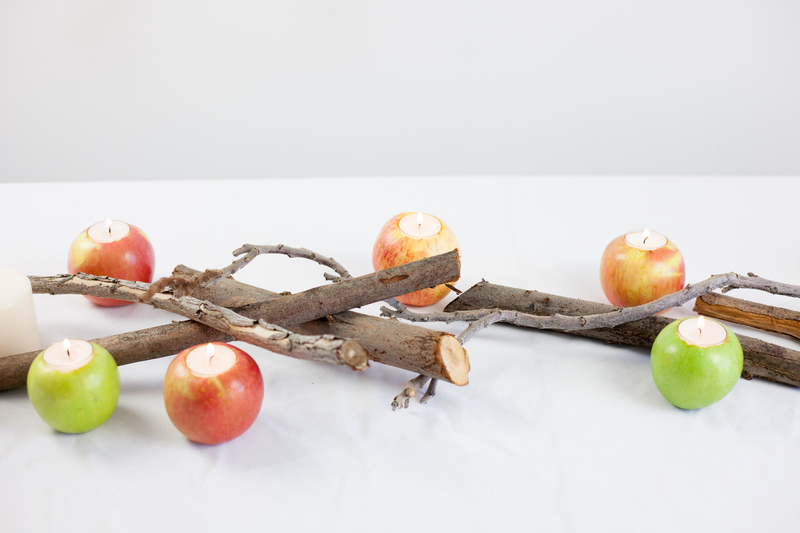 This will add to the fun and natural feel of the centerpiece! 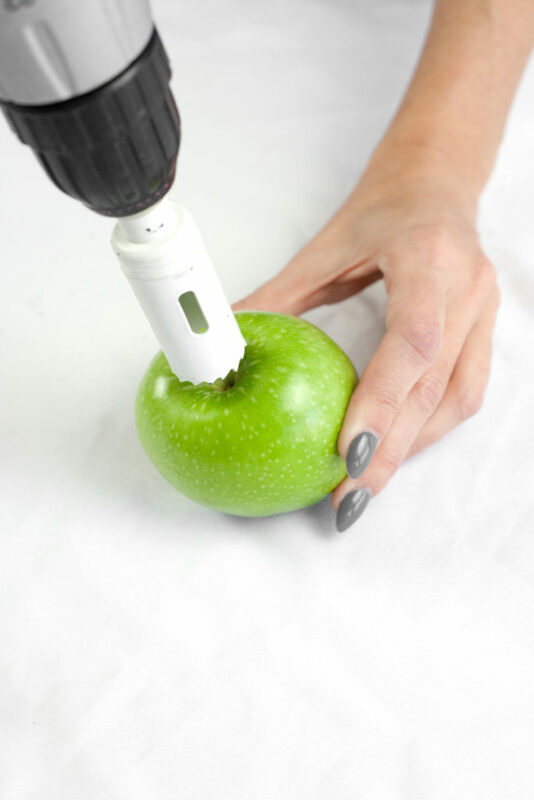 Using a circular drill bit, slowly remove the center section of your apple, while holding it tightly to secure it. 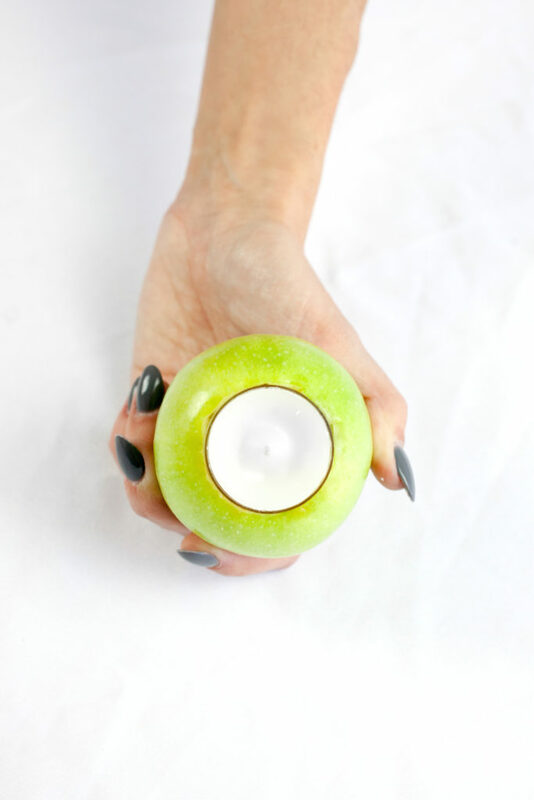 This will remove most of the apple, but you will have to use a small and sharp knife to clean the edges around the section you removed and make sure your tealight has a snug fit. (You can choose to use a larger circular drill bit, but I wanted my candles to be SUPER snug without any excess room around them. 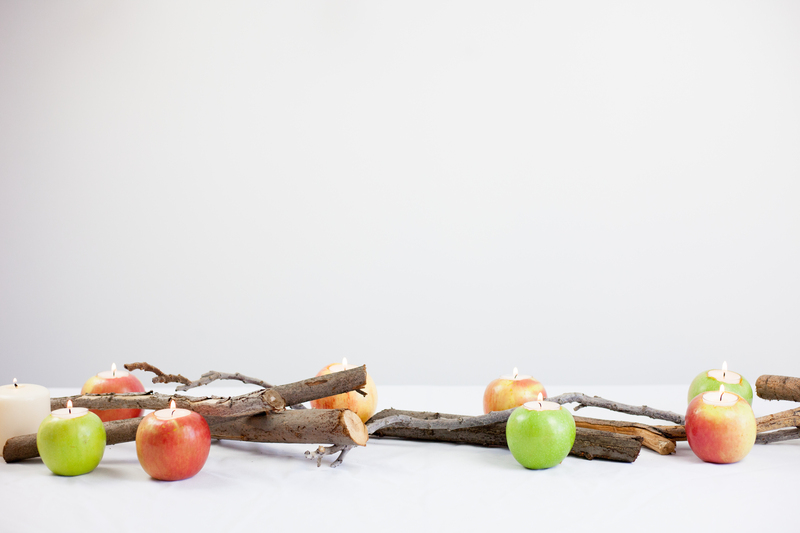 I think it looks cleaner and a little bit nicer on the finished apple). Place your tea-light into the hole in your apple and ensure a secure fit. Now comes the fun part…putting together the centerpiece. And it’s SO EASY! 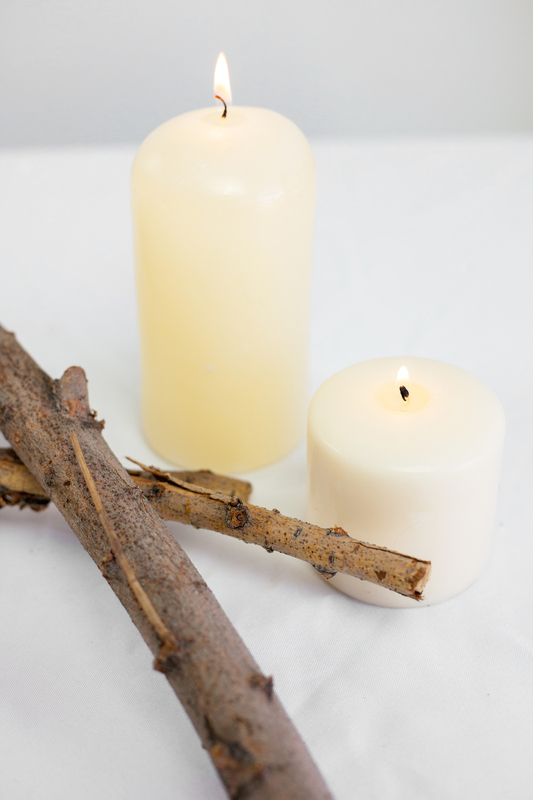 Arrange your sticks down the center of the table, leaving a little bit of room on the ends for additional place settings. Overlap them in different places and don’t worry about getting them even and balanced. The natural and un-even placement adds to the character of this DIY Thanksgiving apple centerpiece! Place your apples randomly on either side of the sticks, and throughout the length of the table. 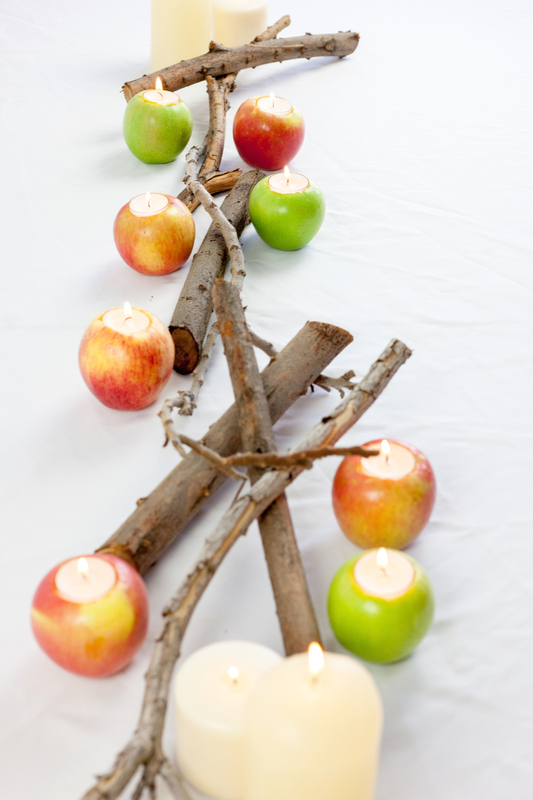 You can also add some taller pillar style candles onto the ends of the centerpiece or even throughout, if you like too. 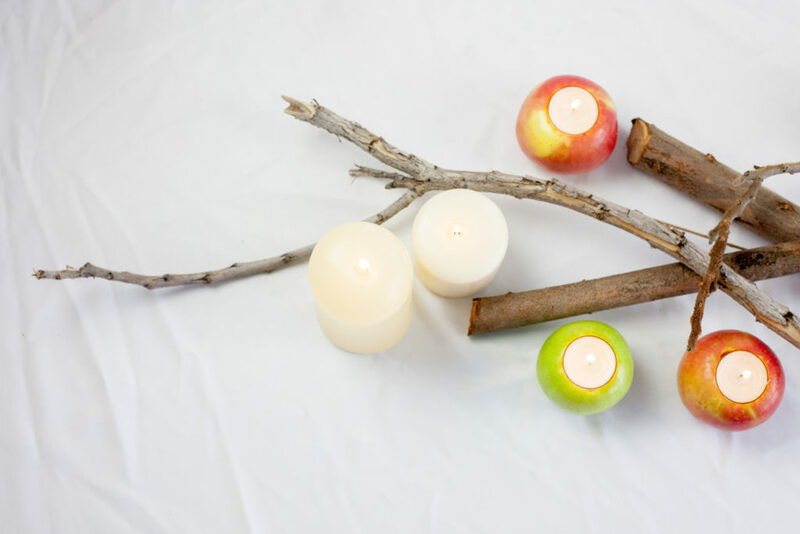 This DIY Thanksgiving apple centerpiece is really easy to make and I love the earthy and unexpected elements it lends to the table. It’s simple, but oh, so chic! 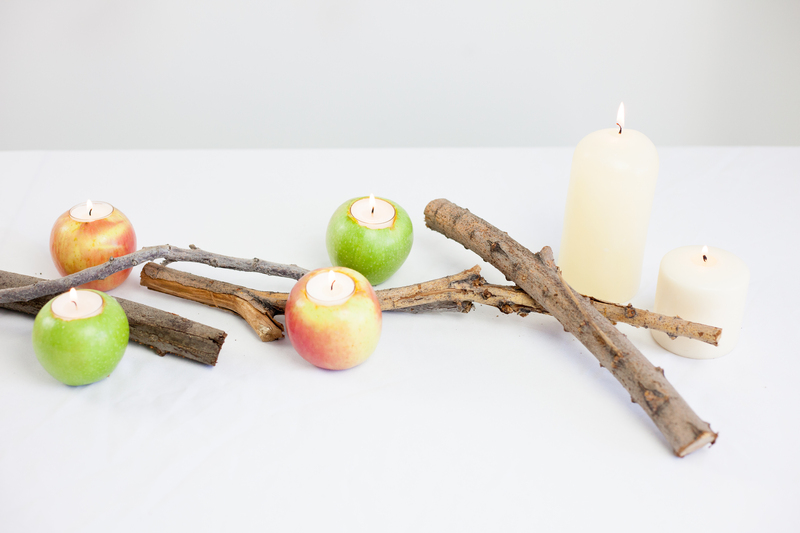 It’s the perfect nod to Fall before jumping right into winter! Looking for a different Thanksgiving centerpiece idea? Check out this one!